Spanish poet Federico García Lorca described the cante jondo - deep flamenco song - as a ‘rare example of primitive song whose notes contain the naked and raw emotions of the first oriental civilisations’. A test of Lorca’s words might be the Qasida project, an extraordinary musical encounter between the young Sevillian cantaora Rosario ‘La Tremendita’ and her Iranian peer Mohammad Motamedi. ‘More flamenco than La Tremendita is impossible’, the French Le Monde wrote after the release of her debut album ‘A Tiempo’. 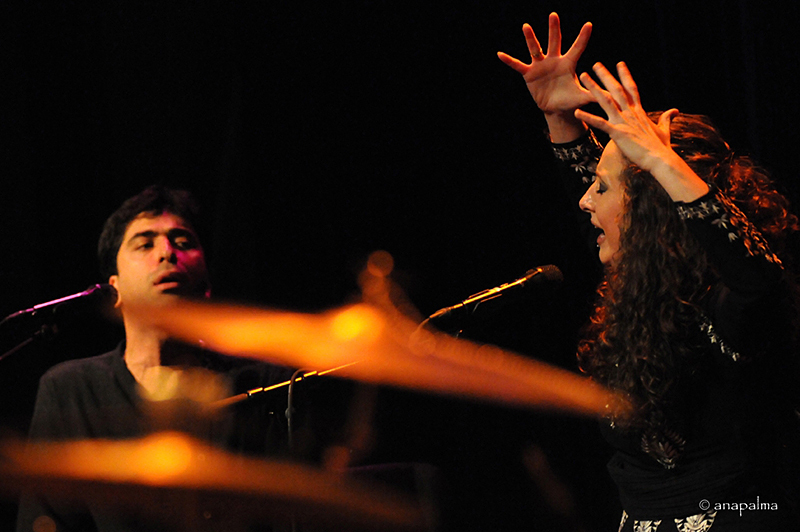 In Qasida the singer explores the roots of flamenco in the richly varied poetic songs and improvisations of Motamedi, the rising star of Persian classical music. Through delicate, moving ballads Motamedi juggles between subtle innovations and the centuries-old tradition. 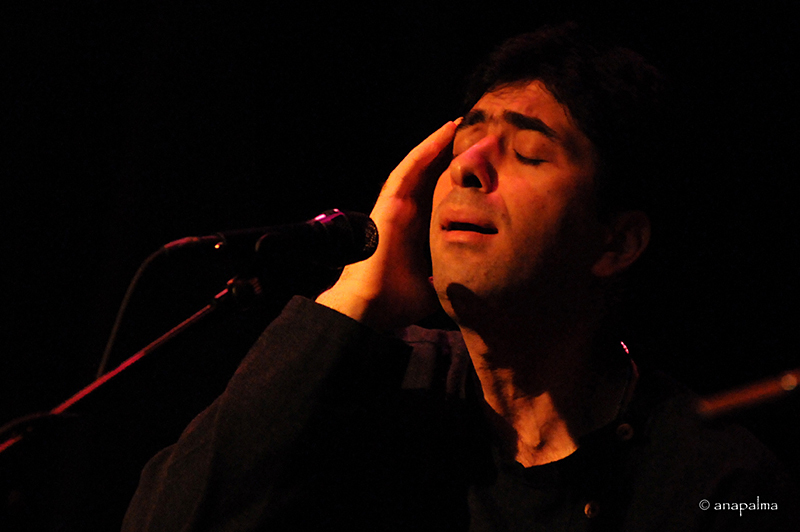 He is today's radiant embodiment of the renewal of Persian traditional music. 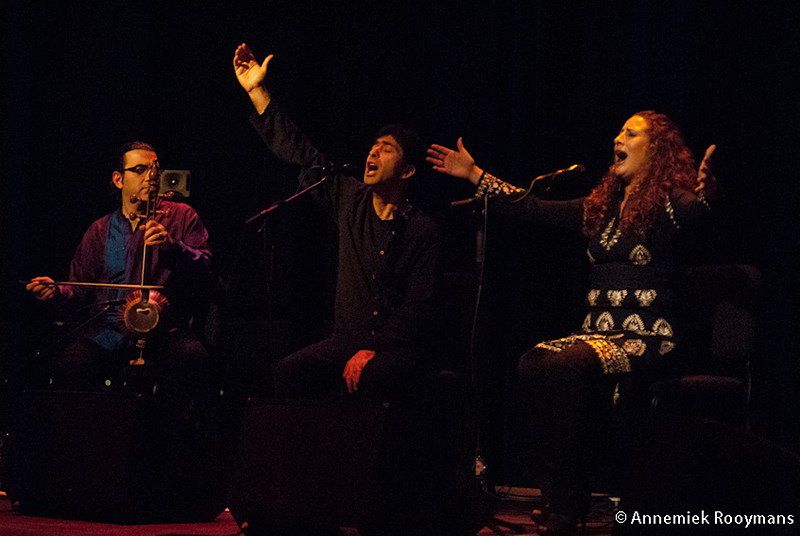 Songs of Spanish folk poetry and Persian high art merge into a musical world in which the splendor of 'Al-Andalus' of old is perhaps briefly revived. The CD will be send upon receipt of payment by post. 'An exhilarating meeting between Spain and Iran. 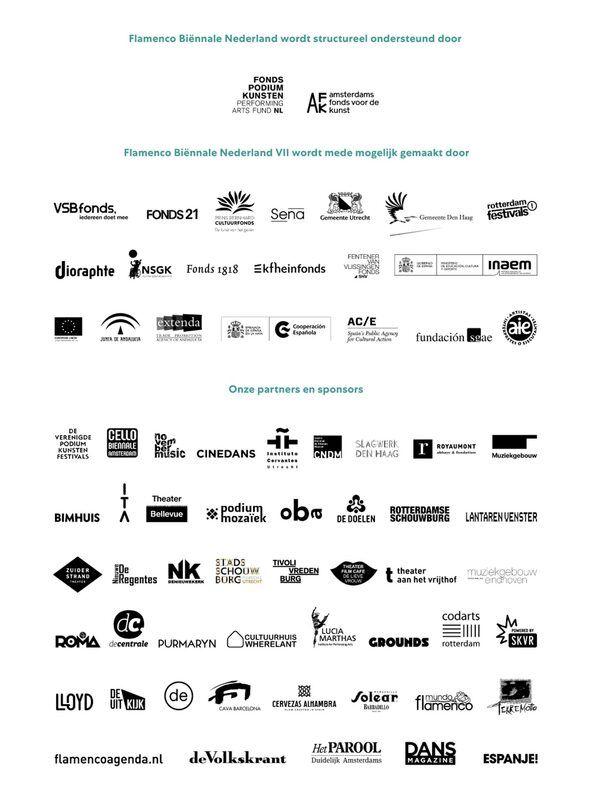 Amsterdam – For festival to create their own combinations of contrasting musical traditions is often a precarious enterprise. Fortunately, flamenco singer Rosario 'La Tremendita' was given her own choice from a pre-selection of classical Persian vocalists. She chose Mohammad Motamedi (32), who flew in from Iran for the third edition of the Flamenco Biennial for a musical dialogue with the 26-year-old Sevillian flamenco sensation. The encounter proved to be a thrilling night. In spite of the common ground between both traditions, there are also fundamental differences that on paper are close to insurmountable. For example, flamenco artists tend to get straight for the jugular in terms of emotional intensity, while Iranian artists prefer to take the most circuitous route possible towards the emotional climax. The traditions are also far removed in terms of their ideal sound. 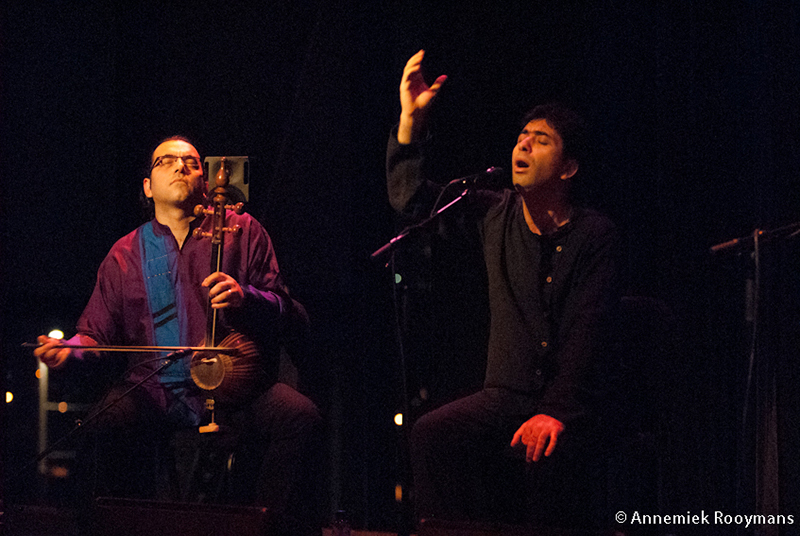 In Spain, duende is often gauged in terms of the raggedness of the vocal cords; the classical Iranian singing voice nimbly and smoothly glides through the registers. La Tremendita did not have to change her style too much, as Motamedi proved to be a gallant and obliging partner. The absence of most of the instruments typical of classical Persian music may have been due to cost, but it did the flamenco musicians no end of favours. The tar or long-necked lute would have cramped Salvador Gutierres' flamenco guitar for space, and the tombak, or goblet drum, is ill-suited to the rhythmic eruptions of flamenco. So grooves were picked that all could appreciate. Only once did Motamedi travel a straight path from stillness to ecstasy; after that, he parried La Tremendita's vocal fury in a question and answer play with some impressive examples of tahrir – virtuoso adornment in the highest vocal registers.